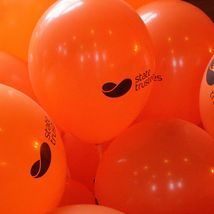 Established on 22 August 1994, STAF is a public charitable trust administered by State Trustees and funded through generous bequests and donations. In the past 20 years, STAF has provided more than $12 million to hundreds of organisations, projects and causes including an annual grassroots program. Distribution of the funds occurs through both direct giving and giving to specified organisations, as well as through a discretionary granting process. People who give to the Foundation make a lasting contribution with gifts of money going to charities for years to come.